This is a leaf from a missal which, Ege tells us, was made by Benedictine monks in Würzburg, Germany in the early fourteenth century. 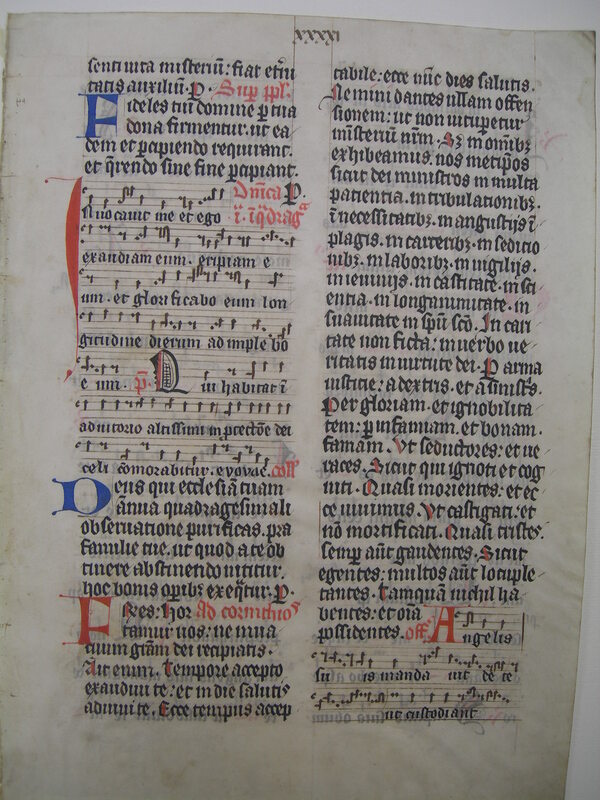 The vellum measures 36 x 26 cm, and has softened and darkened with use to a grayish tone. The text remains dark black, and there is an interesting variety of shades of red in the decoration and rubrication. Where the text contains Biblical passages the first letter of each verse is pricked in red. The page has been cropped, resulting in the loss of some marginal text, and folio numbering in Roman numerals in the upper margin may have been added after the cropping. 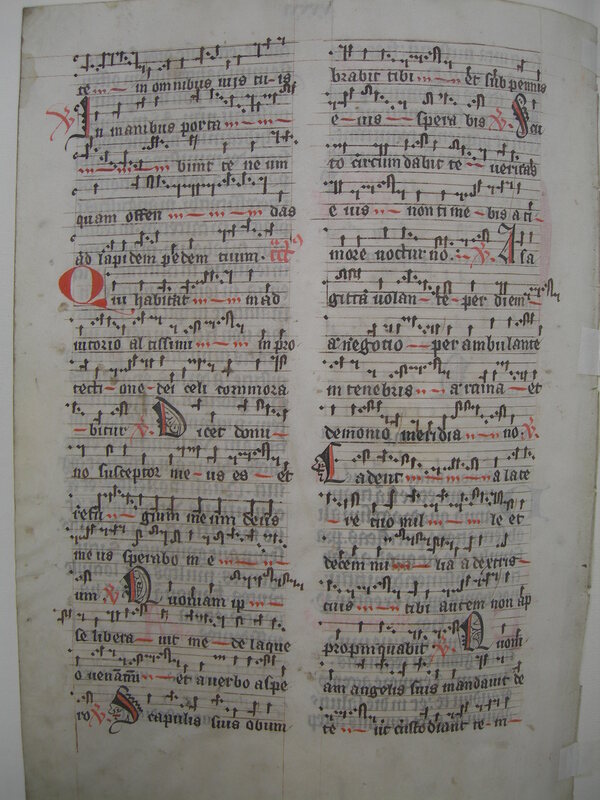 See Denison University Leaf 22 for more information about this manuscript.